I’ll admit right up front here that I’m kind of a wimp when it comes to creepy stuff. 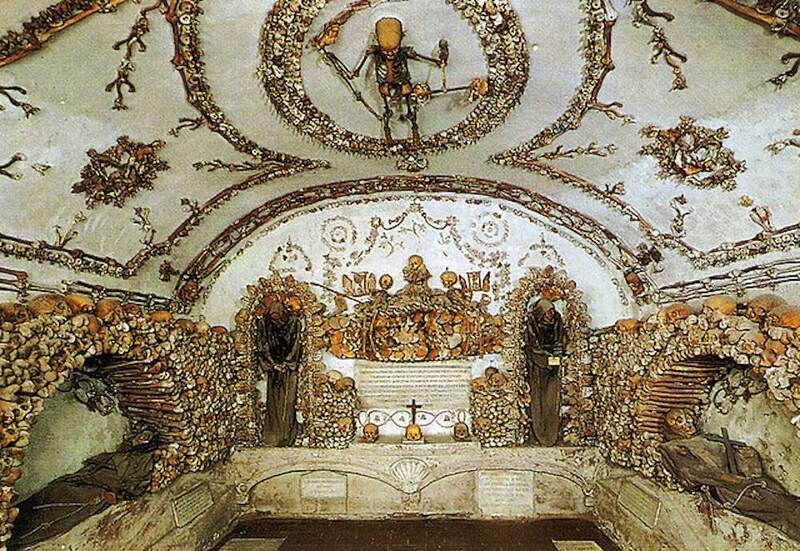 I’ve never been into scary movies, and even cover my eyes during the fake surgery scenes in “House.” But on my first trip to Italy, when I heard there was a chapel in Rome which had decorated its walls with the bones of more than 4,000 monks, I knew I had to see it. Little did I know at the time, bone churches in Europe aren’t that uncommon. Which is excellent news if you, like me, are on a mission to see all the bone churches you can. 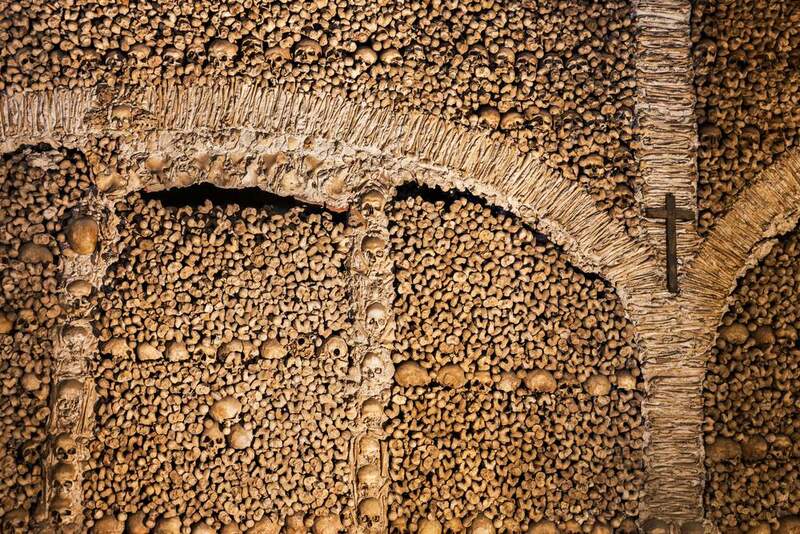 Bone churches, more accurately called “ossuaries,” exist in several countries in Europe, and can consist of everything from piles of decorated skulls to pieces of wall art made up of various human bones. 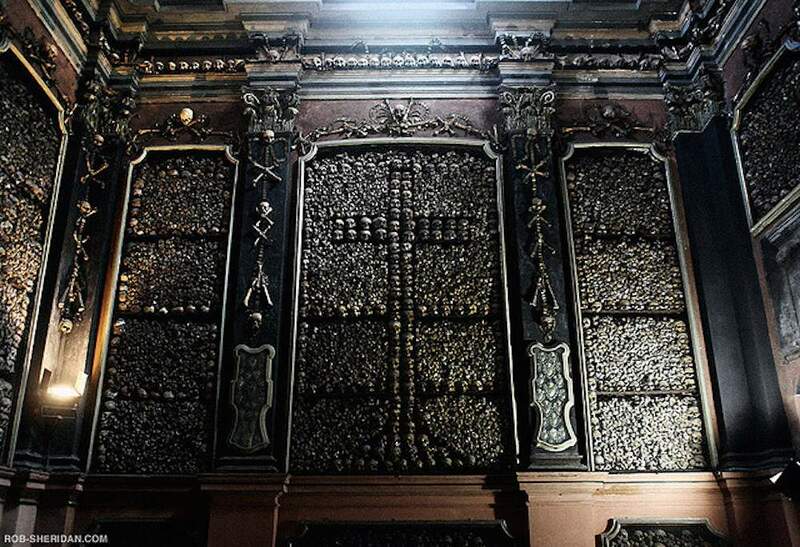 If you’d like to make a tour of Europe’s bone churches, these are the spots you’ll definitely want to have on your list. Since this was my introduction to bone churches – and a fine introduction at that – let’s have it be your introduction as well. Rome’s Capuchin Crypt occupies a tiny space underneath the Santa Maria della Immacolata Concezione dei Cappuccini church in Rome. And while it’s not a crypt in the same sense as the Paris catacombs, the walls of this series of small chapels are entirely decorated with the bones of Capuchin monks, so the word “crypt” definitely feels like an apt moniker when you’re there. The soil in the crypt was brought from Jerusalem and is considered holy, so burial space disappeared quickly. 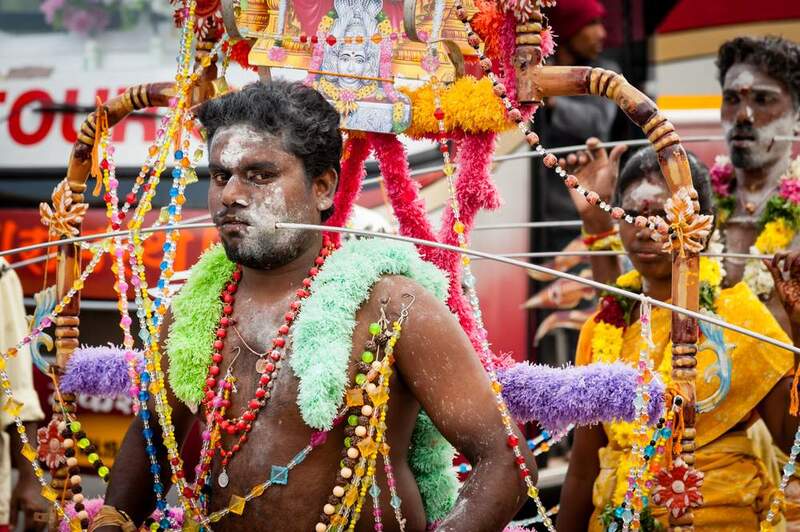 To make room for additional people who wanted to be buried in that soil, they began removing bones of previously-buried monks and stacking them. Eventually, someone had the brilliant (well, I think it’s brilliant, anyway) idea of using those bones to decorate the walls. My favorite bits of decor are the little grim reaper sculpted from bones, featured on one chapel’s ceiling, and the sign in the final chapel which says, “As you are, we once were. As we are, you shall be one day.” These may not be signs of the monks having a sense of humor, but they certainly make me giggle. Outside the town of Kutná Hora in the Czech Republic (an easy and popular day-trip from Prague) sits the town of Sedlec, which may be famous for nothing besides its tiny bone church. 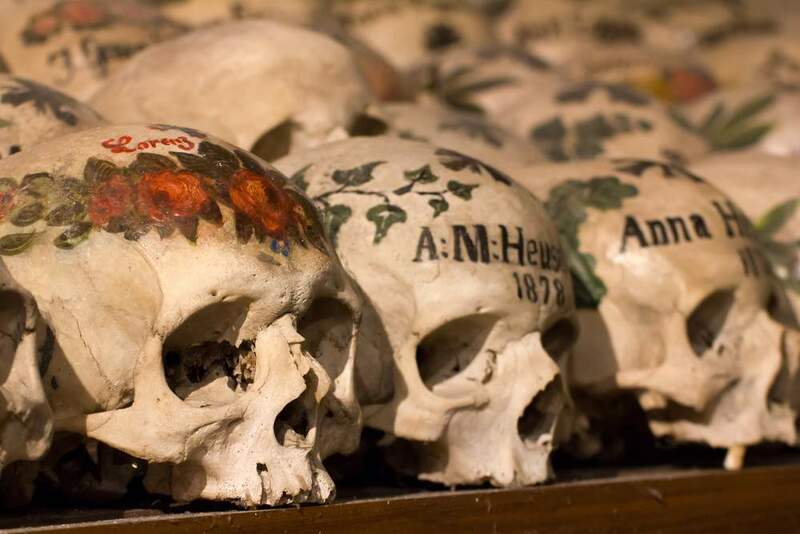 Located beneath the Church of All Saints, the Sedlec Ossuary is – like the Capuchin Crypt – a massive collection of bones which have been arranged as art on the walls. The ossuary was built in the 15th century in order to make room in the small adjacent cemetery for more burials, but it wasn’t until 1870 that the collected piles of bones were put to any kind of artistic use. That year, a local wood carver was hired to make sense of the bone chaos – but it’s unclear whether his bone art was exactly what the church had in mind. 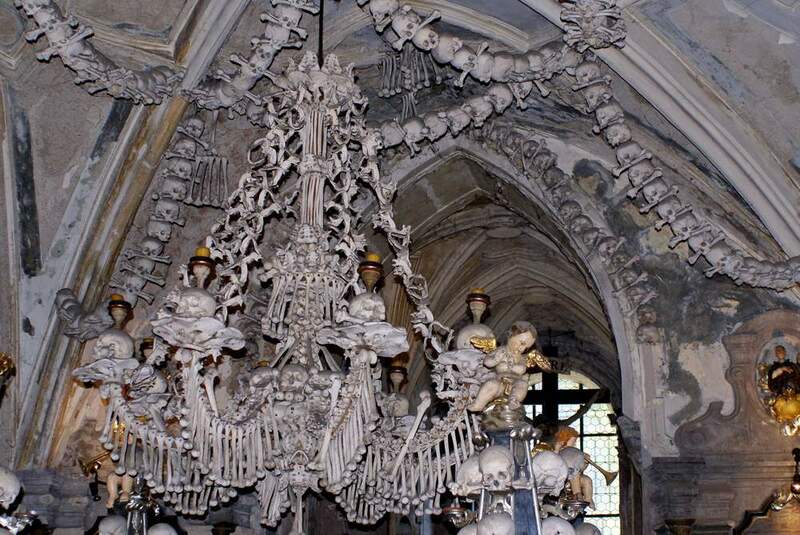 Among the decorations in the Sedlec Ossuary, there’s a coat of arms on one wall representing a prominent local family of the time, and a massive chandelier (that actually works) hanging in the center of the room made entirely from bones. Not only that, the “artist” left his mark in bones – his signature and the date is crafted in bones near the church’s entrance. The tiny town of Wamba outside the city of Valladolid in northern Spain is home to yet another giant collection of bones, and like many other bone churches the original reason for piling the bones up was a simple lack of space remaining in the cemetery. The Medieval Ossuary in Wamba is in the Church of Santa Maria and contains bones from hundreds of villagers who died between the 12th and 18th centuries. 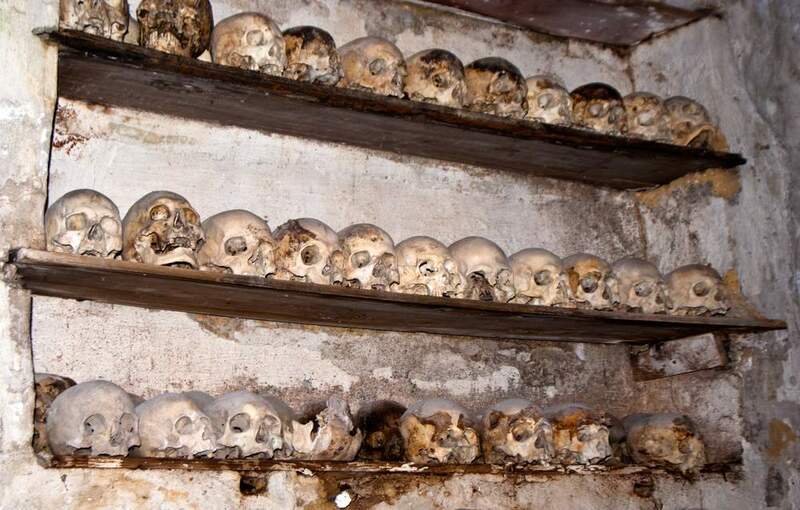 Unlike some of the other bone churches, the Wamba ossuary doesn’t have walls or ceilings which are ornately decorated with bones. 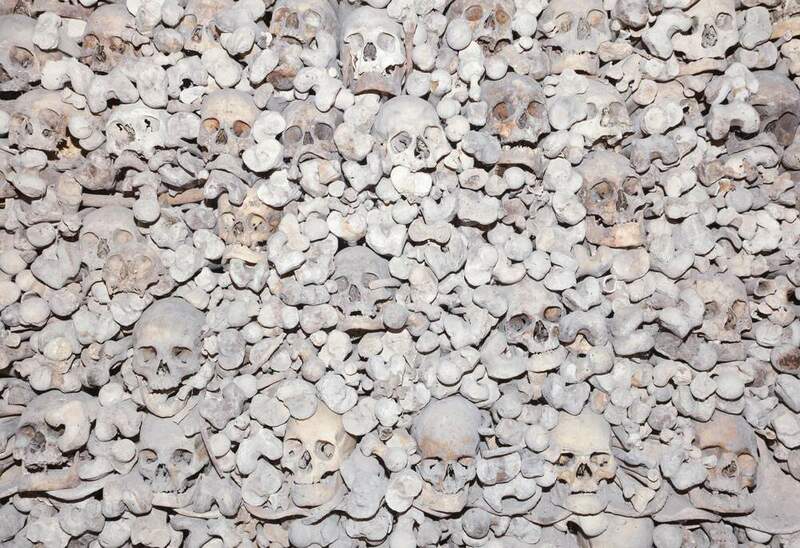 Instead, the bones are just in huge piles – they’re organized piles, but they’re piles. Researchers have studied the bones and learned a great deal about medieval village life in Spain, but since all the bones are mixed together it’s impossible to put together a complete skeleton of one particular human being. While most of the bone churches in Europe are filled with the bones of people who died hundreds of years ago, the ossuary in Hallstatt is different. The tradition in Austria has long been that graves are merely rented, and once the rental period is up bones are exhumed and moved to a karner, or bone house. The little Austrian village of Hallstatt is so small that the grave-rental period is a short 10 years. One Hallstatt karner in particular, the Roman Catholic parish church, draws more visitors than just relatives paying their respects, as it has the skulls of more than 600 people on display – and each skull has been lovingly painted with its previous owner’s name, profession, and death dates. While the last skull in the Hallstatt ossuary – a UNESCO World Heritage Site – dates from 1983, there are still requests today for individual skulls to be placed there after being appropriately dried and decorated. In the high fashion capital that is Milan, you might not expect something as morbid as a bone church. But a few steps from the city’s famous Duomo is a church with a tiny chapel in the back that’s absolutely full of bones. The church of San Bernardino alle Ossa is unremarkable in most respects, but once you find the sign pointing you to the “ossario,” you’re in luck. The footprint of the ossuary is incredibly small, but the ceiling soars overhead so there’s plenty of space on the high walls for the stacks of bones. For the most part, there’s nothing much that’s artistic about the displays – they’re essentially just carefully placed skulls and large bones. But in the two biggest wall panels, the large bones make up the background while the skulls are strategically arranged to make the symbol of the cross. Bone churches by and large tend to be structures into which piles of bones have been placed. The Capela dos Ossos in the Church of St. Francis in Evora, Portugal, on the other hand, seems to be made of bones. The very walls of the chapel have bones in them, with cement holding everything together. Even the pillars supporting the ceiling have skulls running up and down them. Estimates are that there are roughly 5,000 bodies whose skeletons are represented in the chapel, and if that’s not macabre enough for you there are also two bodies hanging from chains – and one of them is that of a child. For many, the word “catacombs” conjures up images of the underground burial vaults in Paris and Rome where bones are stacked along the walls. In Palermo, it’s something quite different. The Capuchin Catacombs of Palermo are famous not just for the interesting way in which the dead are arranged, but also because of one amazingly well-preserved mummy. Once again, the Palermo catacombs got their start in the late 16th century when the monks ran out of space in the cemetery. The climate in the underground space turned out to be ideal for preserving bodies, such that even some of the oldest skeletons in the catacombs still have some skin and hair left on them. The last body to be placed in the catacombs was that of a two-year-old girl called Rosalia Lombardo, who remains so lifelike today that she looks like she could wake up from her nap any second and run outside to play – except she died in 1920. Rosalia’s body was perfectly preserved thanks to an embalming method which was, at the time, revolutionary. The specific formula was lost for decades, but was recently rediscovered – and what’s more, it still works. While this isn’t technically a bone church, it fits nicely under the category of places to see skeletons. The burial vault that was built underneath St. Michan’s Church in Dublin may not have been intended as the perfect place to preserve bodies, but the limestone walls have resulted in a space where nothing rots. So as the coffins around the bodies disintegrate over time, the bodies themselves are left exposed and largely mummified. Many of the bodies kept under St. Michan’s aren’t on public display, but visitors still flock to see the room containing four caskets without lids. 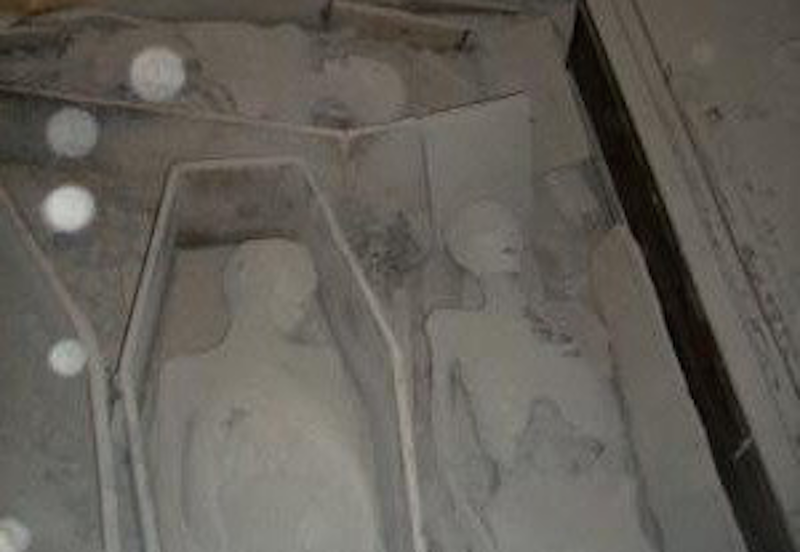 The bodies of the four are entirely visible, including the mummified skin, and two of the bodies were cut into pieces before they went into their coffins. One of the bodies in the vault is a nun buried 400 years ago, though she’s not one of the bodies that’s visible to the public. One of the most well-known collections of bones is also the largest and most-visited. The Catacombs of Paris contain a whopping six million bodies’ worth of bones spanning the walls of more than 300km of tunnels. 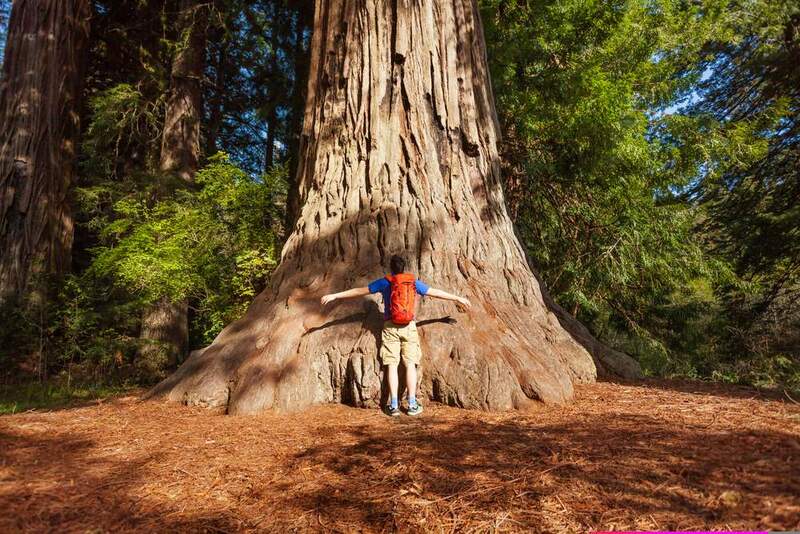 You won’t see it all, and you shouldn’t try – but a guided tour is definitely something on many tourist to-do lists. 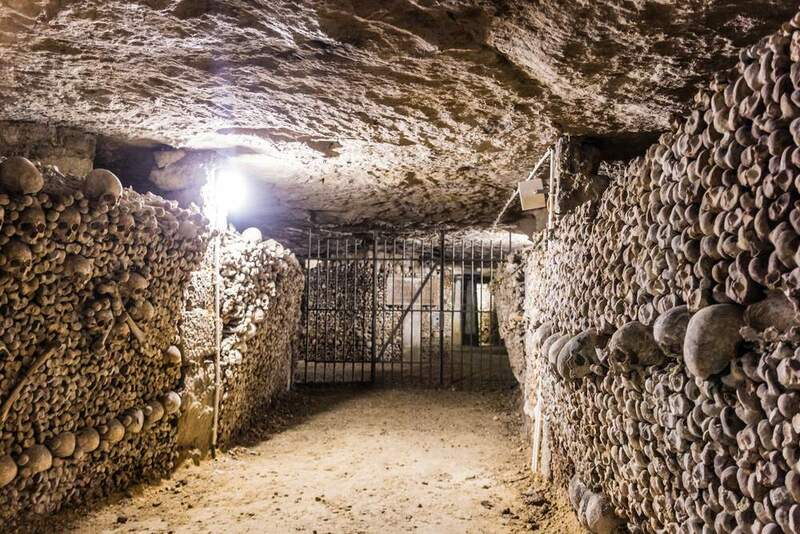 The Paris Catacombs exist partly because the city was running out of burial space, but also because cemeteries which were in the city limits were officially condemned because people living near them were getting sick. In the late 1780s the first bodies were moved into the underground tunnels, and it was opened to the public as a tourist attraction less than 100 years later. 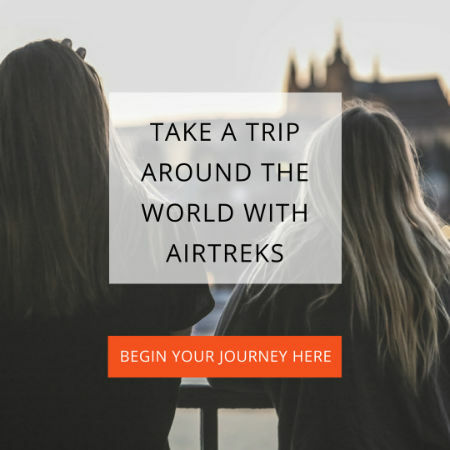 >> Learn about Paris for the indie traveler.